Learn the techniques of XC or Nordic skiing while touring scenic trails away from crowded slopes. ﻿In the midst of Hotham, a mountain oasis with superb 360 degree views invites climbing. Admire the sculptural beauty of snowgums as you XC ski or snowshoe. Traverse Hotham is dedicated to introducing more people to the joys of cross country (XC) skiing and snowshoeing in our magnificent alpine environment. Beginner XC ski lessons follow a tour teaching methodology - subject to skier ability and snow conditions, the aim is to learn basic and/or improved XC ski techniques while discovering some of the scenic groomed trails Hotham Alpine Resort has to offer. Perhaps skiing isn’t for you? Snowshoe tours are an easy way to get out among the snowgums and appreciate the beauty of our high country away from the crowds. Scheduled XC lessons operate Wednesdays and Saturdays - we offer separate ‘Intro to XC’ for those coming over from downhill skiing or who may have tried XC before and ‘Absolute Beginner’ for those who may have never been on skis before at all. 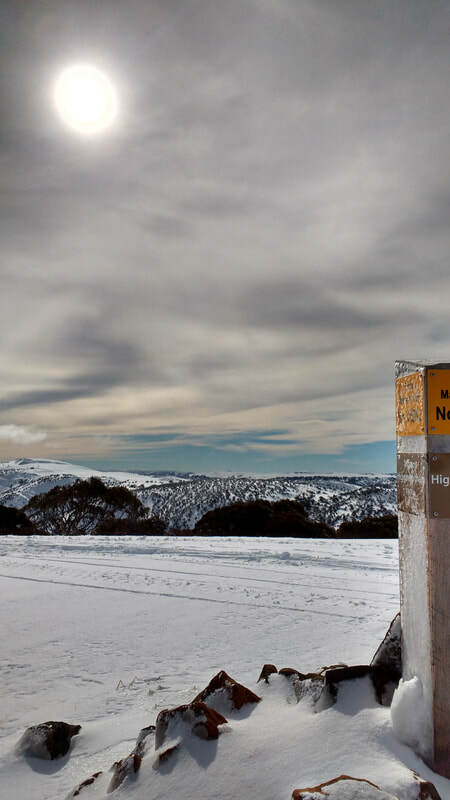 Late afternoon ‘Sunset Snowshoe’ tours also operate twice a week on and around Mt Higginbotham, a natural alpine oasis with magnificent views within the midst of Hotham. we look forward to helping more people discover trails less travelled next winter! ​ To request a lesson or tour booking, simply fill out the form below and we'll get back to you pronto. See you out on the snow!